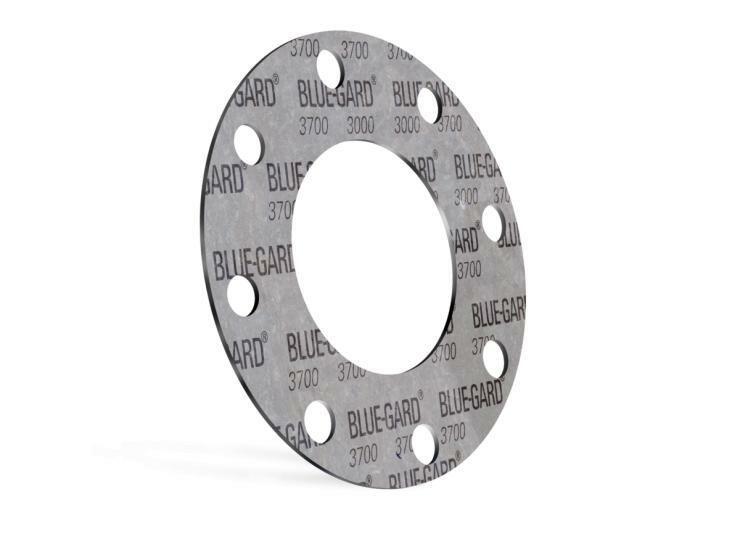 The BLUE-GARD® Style 3700 is a compressed, non-asbestos gasket made from aramid fibers with an EPDM binder. This gaskets drastically lowers emissions levels, fluid loss, and energy consumption. *This style is not the preferred choice for steam service, but is successful when adequately compressed. Minimum recommended assembly stress = 4,800 psi. Preferred assembly stress = 6,000-10,000 psi. Gasket thickness of 1/16″ strongly preferred. Retorque the bolts/studs prior to pressurizing the assembly. For saturated steam above 150psig or superheated steam, consult Garlock Engineering.